We are mere weeks away from the annual Canadian Mortgage Awards and this year we have partnered with the Children’s Wish Foundation. This year, for the first time, The Canadian Mortgage Awards is partnering with The Children’s Wish Foundation of Canada in order to raise funds for this worthy local cause. There will be a silent auction taking place during the event and you will be able to bid on a variety of high-end jewelry, luxury items and sports memorabilia. All funds raised will go to the charity so make sure you bring your wallet and give generously. Each year, thousands of Canadian children between the ages of 3 and 17 are diagnosed with a life-threatening illness. Since 1984, The Children’s Wish Foundation of Canada has worked tirelessly to grant exceptional wishes to 22,000 children and their families. This year, Children’s Wish expects to grant over 1,000 new wishes and with the help of volunteers and generous donors, is able to grant nearly three wishes every day. Each wish is an individual adventure, carefully structured to meet the needs of a particular child and family. 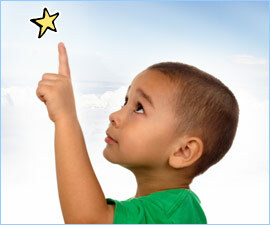 Children’s Wish is a national charity with chapters in every province and territory. Visit http://www.childrenswish.ca/ for more information. The judges are working tirelessly and the entertainment has already been booked. There are still tickets available, but they’re going fast – so act now to secure your spot at the industry’s hottest event.